Reassurance shield after the 14 split as we head out of Towner. A few miles later, we’ll enter Rugby. 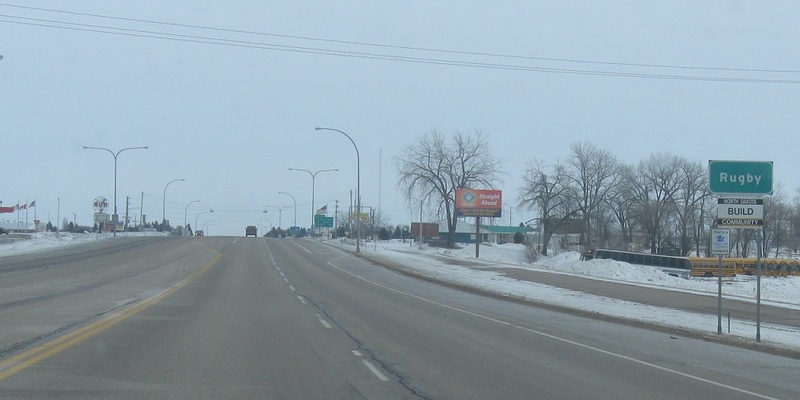 Follow 2 east to Devils Lake. 3 south heads to Harvey, and 3 north goes to Dunseith. 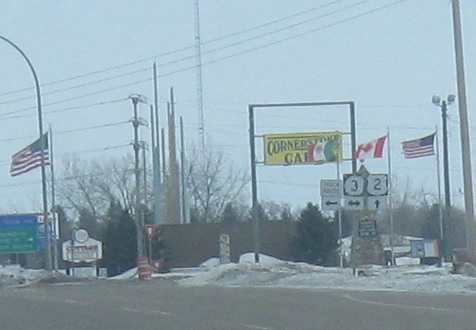 The Geographical Center of North America is located in the background, which is why there is a Mexican flag flying in Rugby, North Dakota. Turn right for 3 south and left for 3 north. Stay straight for 2 east.